P.O.Box: 45580, Abu Dhabi -U.A.E. 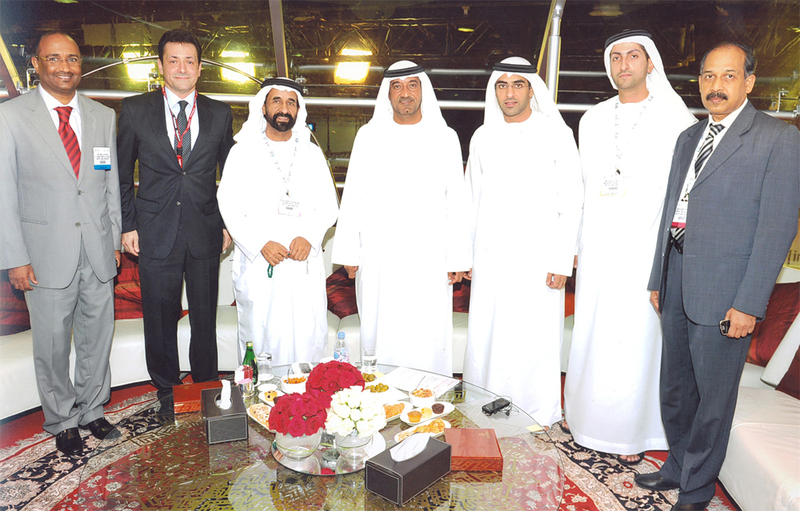 Bin Ham Group is one of the significant economic figures in the United Arab Emirates. 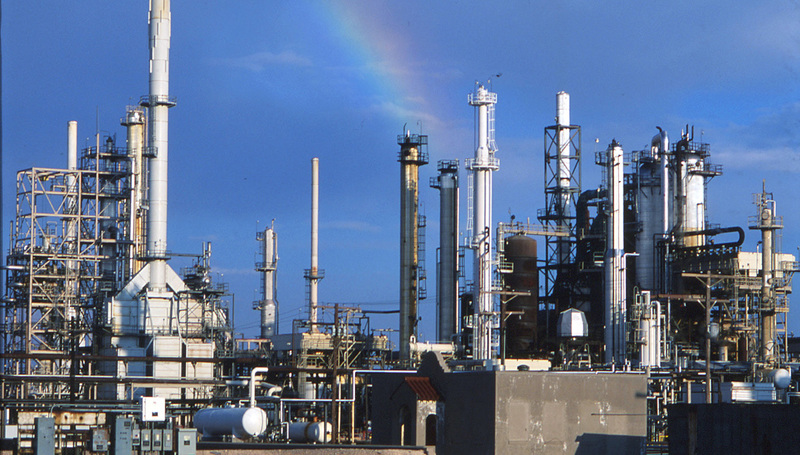 The group economic power is evident in many different fields for many of its companies that have become a milestone in the national economy building process. It was the groups honor to contribute to the renaissance experienced witnessed by the Emirate of Abu Dhabi in particular and the UAE in general. It occupies the forefront of many of the economic activities witnessed by the state during the past two decades. To steer the work of its various companies the group adopted a unique strategy based on studies, research, accurate selection of well qualified expertise as well as adoption of modern technology in all of its projects. All these factors led to the leading position of the dozens of its companies that operate in the various economic sectors, including: oil drilling, wells drilling, general contracting, engineering, general trading, publishing, education, financial services, travel, investment in real estate, hotels and media, where during this period the Group turns towards global by directing foreign investments in some Arab and foreign countries, according to deliberate plans. Sheikh Mussallim Salem Bin Ham is the Chairman of the Group, he is a senior businessman in the UAE, with pioneering role in the founding of various investment projects, and he is one of national figures who have their clear imprints in the public domain. P.O.Box: 45580, Abu Dhabi - U.A.E. 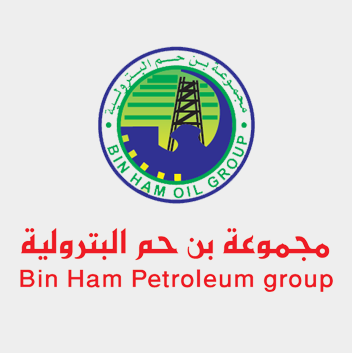 Bin Ham petroleum group L.L.C was founded in 1982, and during this period it succeeded in becoming one of the leading companies in its field, in and outside the UAE, and an active member of Bin Ham group. The group work is mainly focusing on onshore and offshore oil and gas wells digging, in addition to water injection wells. It works also in the fields of hydrological and geophysical researches, as well as acting as a representative for companies working in the petroleum operations. 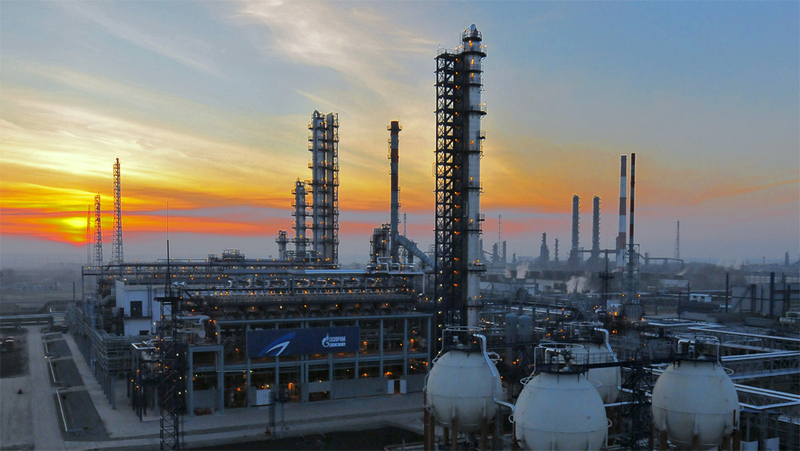 The company has strong record of large projects in the areas of drilling, maintenance and operating of oil and gas wells, which implemented for a number of major oil companies operating in the UAE, such as “Abu Dhabi Company for Onshore Oil Operations”. 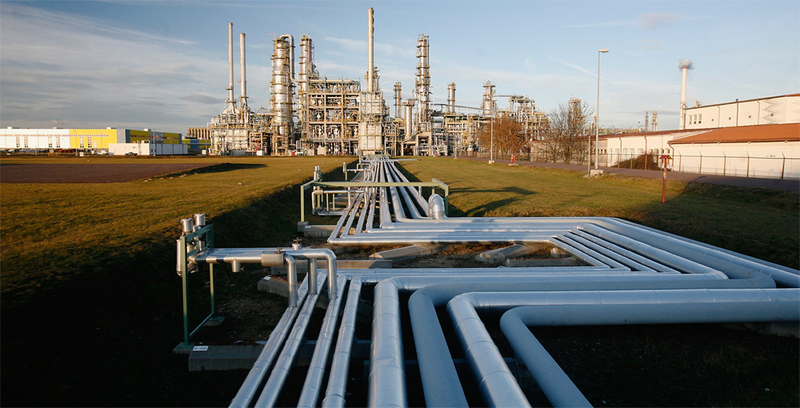 The company also obtained several contracts for oil prospecting in some Arab states. 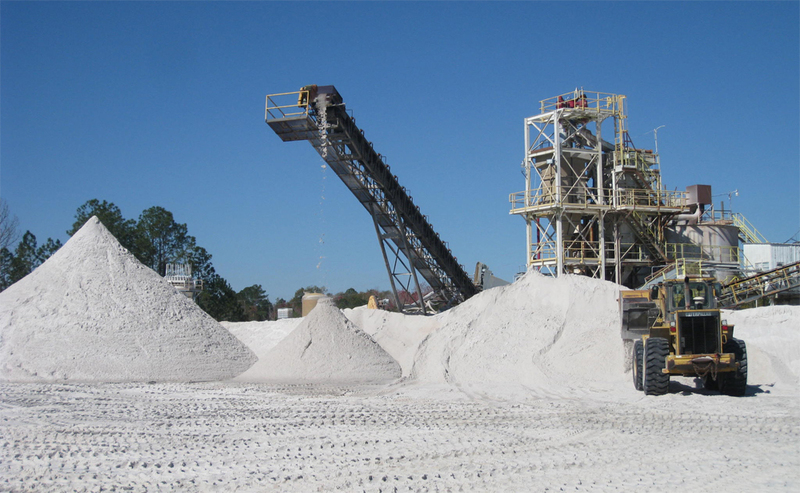 The company depends on most latest developed equipment and techniques in its operations and hiring specialized and highly qualified staff. P.O.Box: 15155, Al Ain - U.A.E. 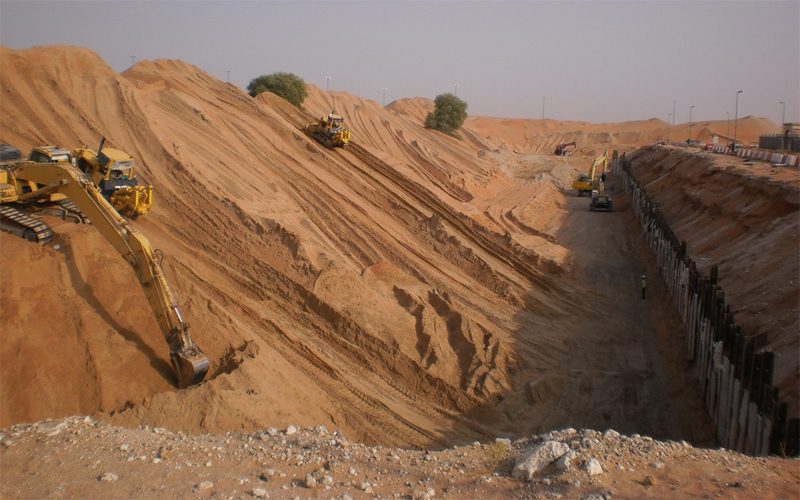 Since its founding in 1978, Bin Ham drilling company is keeping pace with the requirements of the important phases of the history of UAE developments, which focused on agriculture and expansion of green areas in the desert. Since its launch, the company has played a significant role in the field of water drilling, by searching for sources, and installing modern equipment and machineries as well as qualifies expertise. It conducted many technical studies in the area, to serve the purpose of agricultural development and meet the growing need for agriculture and reforestation projects in the country. 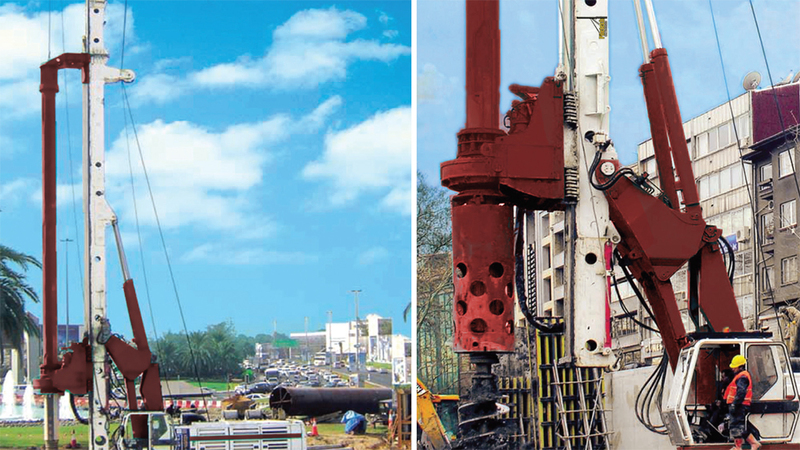 The company has a large number of excavators water wells that operate according to modern techniques,andit depends on qualified expertise in its implementation process. During the past years, the company completed the digging of a large number of water wells in favor of some local government departments and institutions, especially in the city of Al Ain, in addition to the drilling of several wells in some Arab countries, such as Yemen and Sudan. 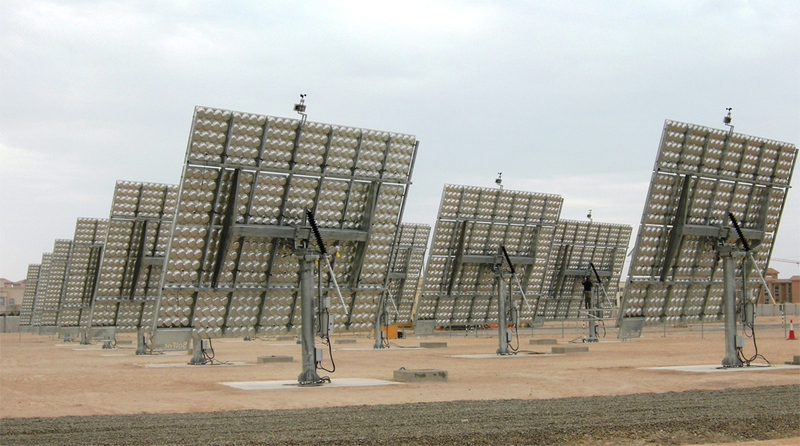 It also accomplished too many drilling operations in some onshore oil fields in Abu Dhabi. P.O.Box: 46844, Abu Dhabi - U.A.E. 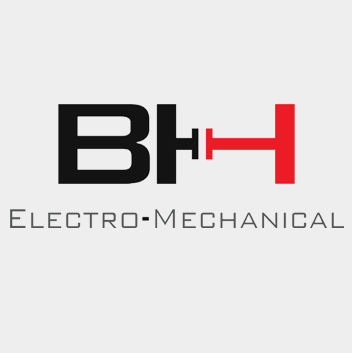 Bin Ham Electrical and Mechanical Company founded in 1988. It established itself as one of the leading companies in the fields of electrical, mechanical engineering, and civil projects. In coincide of continuous development; the company established, recently, fully equipped workshops in Abu Dhabi, AL Mufrag, Suihan and Liwa. These workshops include a workshop for electromechanical works and other one for mechanisms, in addition to a workshop for vehicles maintains. All these workshops were provided by all machinery and equipment. They employ more than 2000 qualified employees using a fleet of 300 vehicles. The aim behind the establishing of these workshops is to meet the different needs of the group’s activities and to accelerate projects completion process, as well as to raise the level of performance, and ensure the quality of products and services. The company is implementing strong policies and procedures for health and environment protection, in accordance to the local and international levels, and it takes into account the legal and regulatory requirements to maintain public health and protect the environment. The company has established strong links with many governmental and quasi-governmental organizations to assist in advancing the progress and prosperity in the state. Some of these companies are: Abu Dhabi Sewerage Services Company, Municipality of Abu Dhabi, Abu Dhabi Food Control Authority, Abu Dhabi Water and Electricity Company, Abu Dhabi Company for Onshore Oil Operations (ADCO), the armed forces, the Civil Aviation Administration, Transco, Sharjah electricity and Water Authority, Abu Dhabi Distribution Company and Al Ain Distribution. This department is focusing on drinking water and sewage water treatment by using eps design and (scada) system for data acquisition and control. 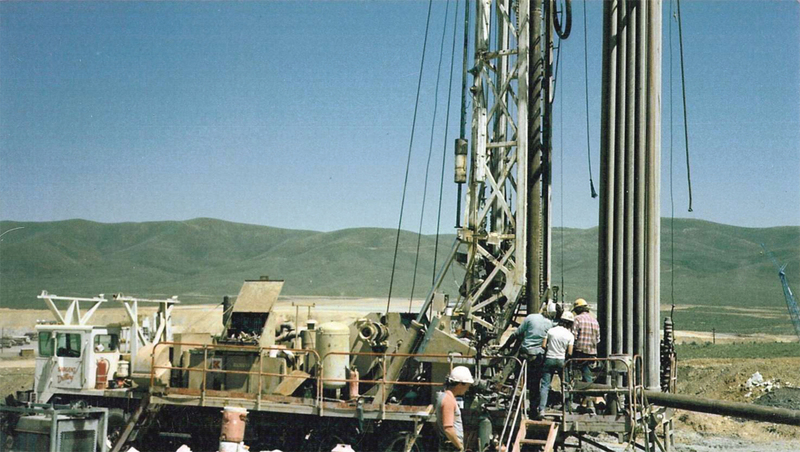 The department central operation unit supervised the entire operation and maintenance process is equipped with the latest techniques of drinking water treatment. One of the important departments of the company is the department of agriculture, which is adopting eps design and works on establishment and operation of landscaping and irrigation systems, wells, reservoirs and everything related to the works of electro-mechanical and maintenance as well as project management landscape, landscaping, irrigation systems and others. 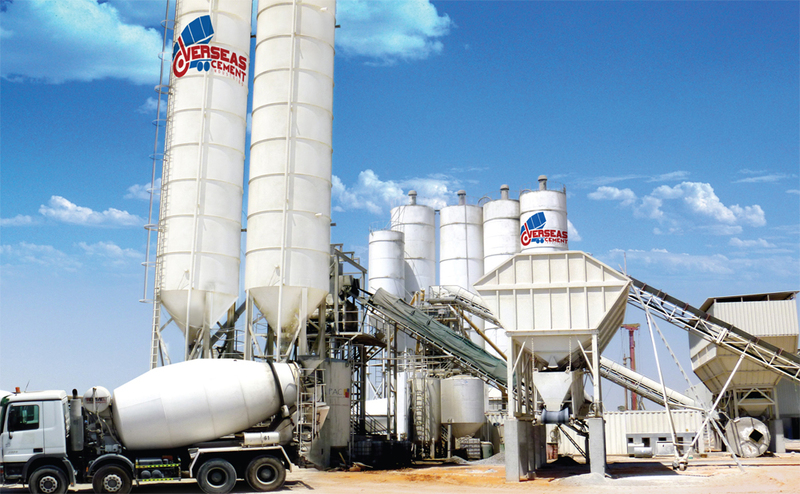 This specialized section is in charge of animal feed processing. It uses modern machines to process Trefoil, Rhodes grass, and oats, through partnership with international experts. 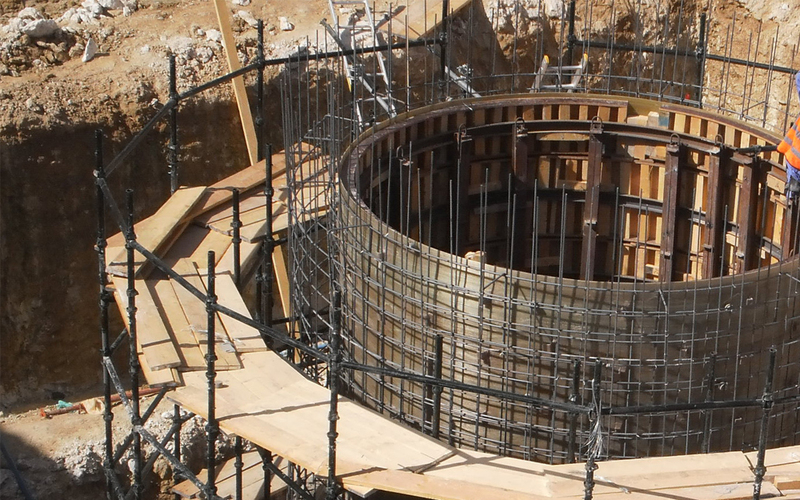 The civil engineering works section is constructing civilian facilities, such as schools, mosques and water tanks. 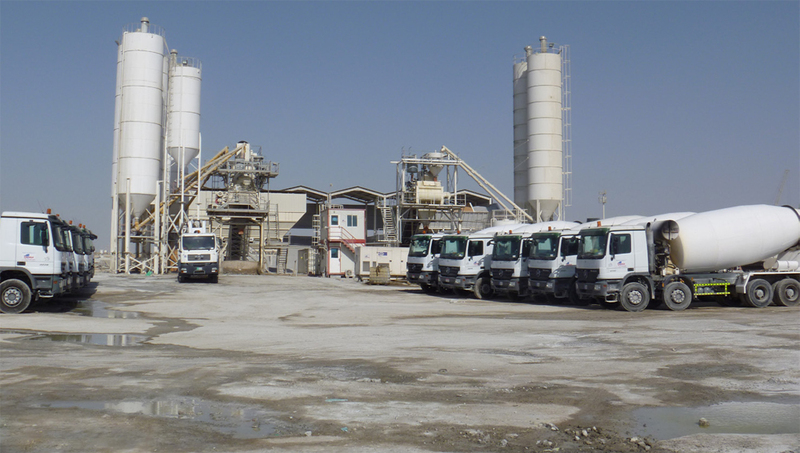 The company received numerous awards and certificates such as the ISO 9001 and ISO 14001 quality certification in 2008 and 2004 and the Certificate of Environmental Health and Safety Certificate 2007 and ohsas 18001. P.O.Box: 4706, Abu Dhabi - U.A.E. 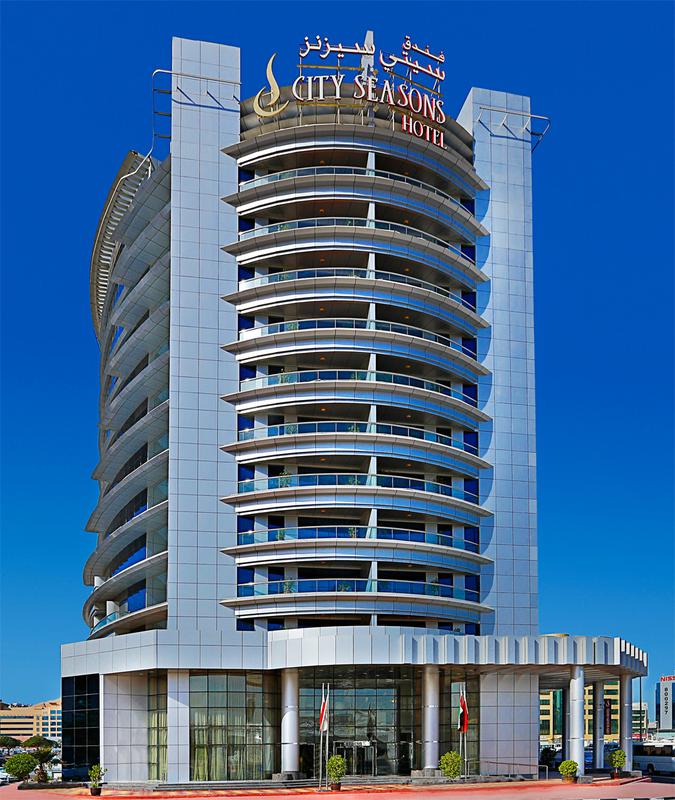 Aiming to strength its position in tourist and hotels sector in UAE, Bin Ham Group decided in 2004 to launch the City Seasons Group Hotels» by establishing an administrative entity with task to involve in the management and operation of its five and four star hotels chain in which spread in Abu Dhabi, Al Ain, Dubai and the Omani capital, Muscat, in addition to the new hotels, in Dubai, Abu Dhabi and Munich, which are to be built soon with the best international hotels standards in order to meet the recent intense competition, as well as a plan to establish a new hotel chain in some Arab countries. The company also is in a process to implement an integrated plan to develop and strengthen its role in tourism and hotel sector during the coming period, in order to serve the national economy. 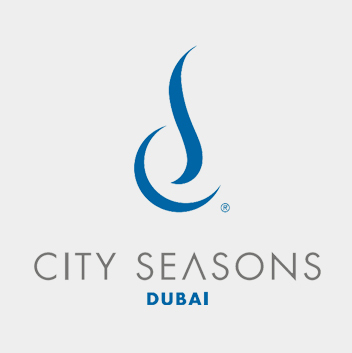 The City Seasons group Hotels Worked, Immediately after its founding, with a clear vision in terms of selecting hotels sites carefully, and attracting the best skills and expertise, and providing exemplary working environment, as well as the continuous search for growth both internally and externally, while preserving the social values of the UAE society. P.O.Box: 4708, Abu Dhabi - U.A.E. 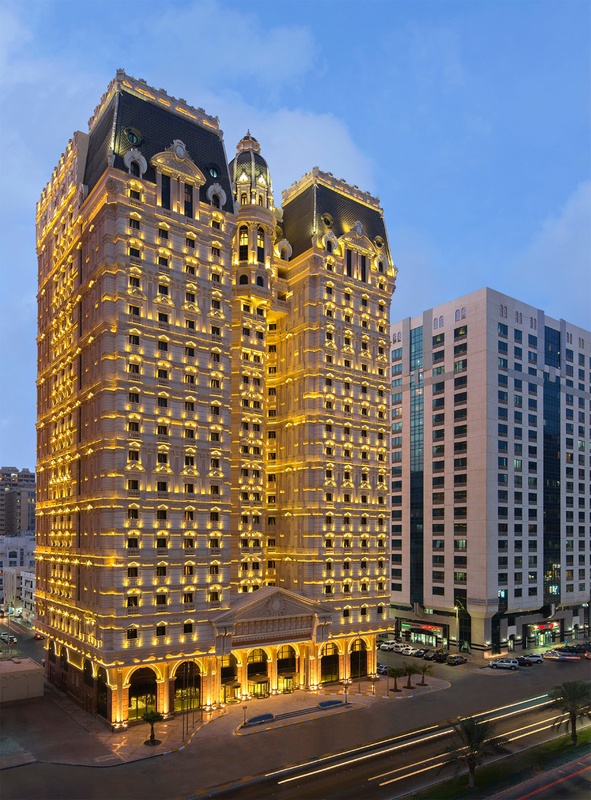 The 5-star Royal Rose Hotel is characterized by a unique features as it’s located in the heart of Abu Dhabi‘s business and commercial areas and only 5-minutedrive away from the Corniche. Its external appearance is inspiring the French palaces of the seventeenth century. The hotel embodies the best of elegance and luxury as its interior design and walls are covered with fine decoration using golden leaves and luxurious character which is enhanced by glittering chandeliers luxury. 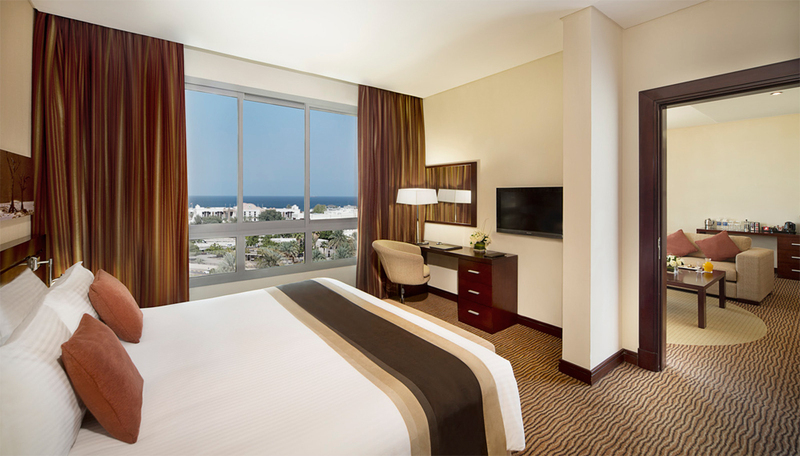 The luxurious hotel features 355 elegantly appointed rooms and suites, in addition to conferences and meeting rooms designed for the comfort of the business people. 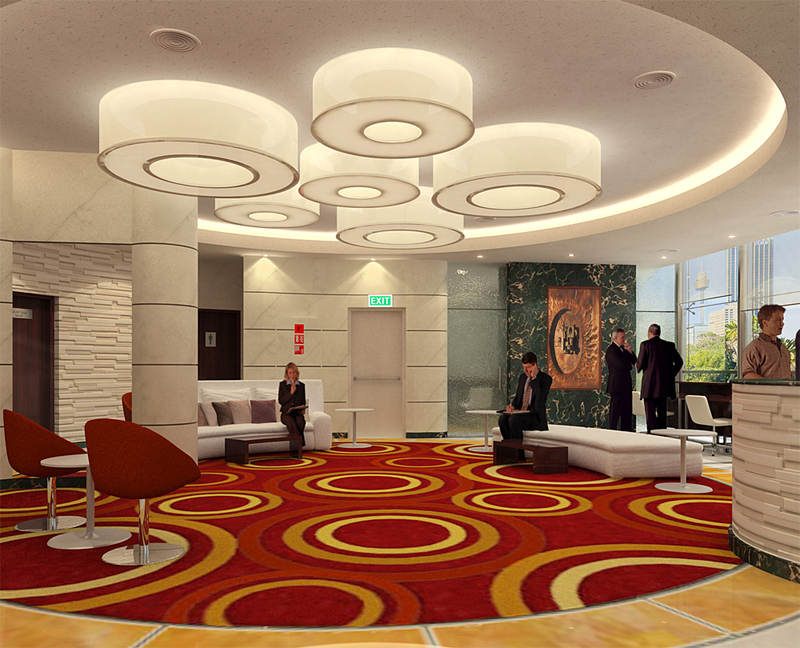 It also includesan events room with a capacity of 325 persons, in addition to the unique and distinctive utilities. Other facilities include one Royal Suite, 16 Luxury Suites, 100 Deluxe Rooms, 122 Grand Deluxe Rooms, 4 Rose Suits and 112 Boutique Suites. 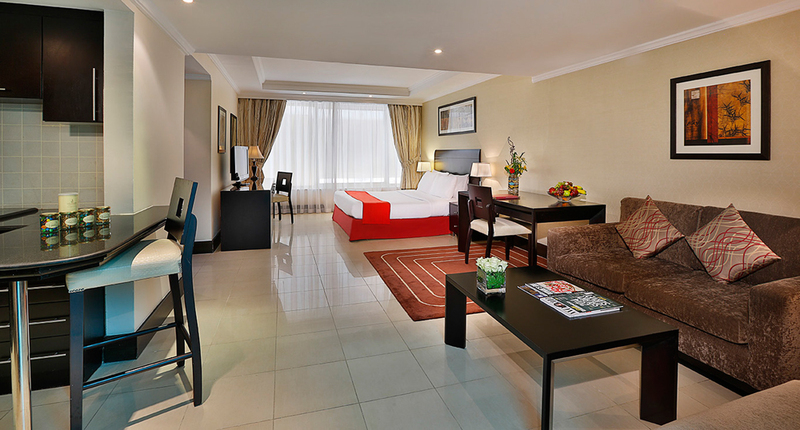 All rooms and suites are fully equipped with amenities and 5-star services. 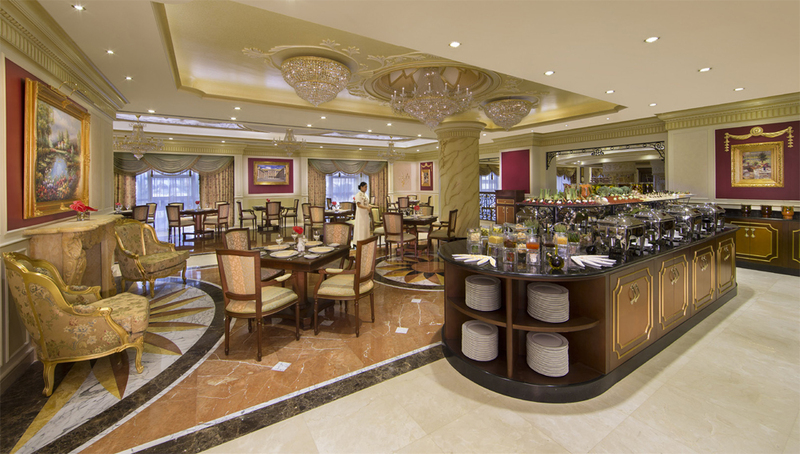 Royal Rose Hotel has a variety of restaurants to suit all tastes and occasions, which offers gourmet dishes and most diverse cuisine. 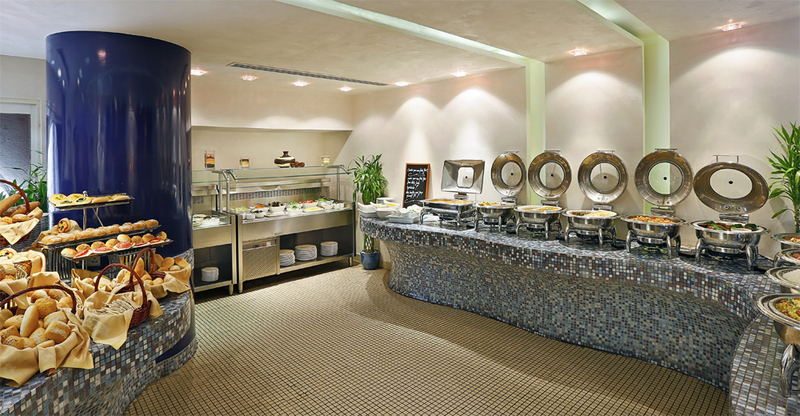 The hotel has the Printania Restaurant which offers a wide range of special Arabic and world dishes which are prepared quickly in live cooking stations. The hotel has also the Barocco Restaurant where the dishes inspired from the Mediterranean cuisine offer a wide range of Spanish, Portuguese, French, Italian and Greek dishes. 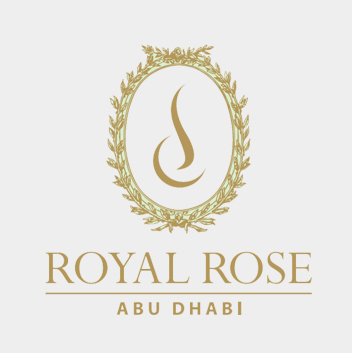 The Royal Rose Hotel provides many varieties and options to maintain the appearance and fitness of its guests in an atmosphere of relaxation and luxury at the hotel upper floors, which includes a spa, fitness club and swimming pools at the roof. 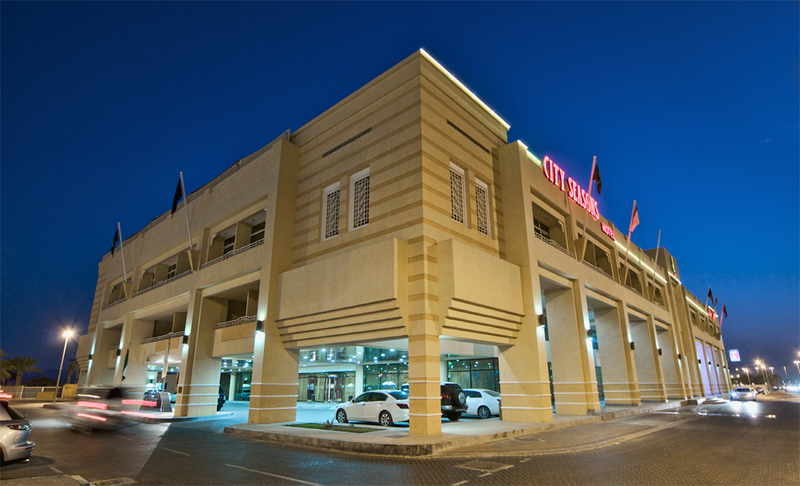 Hotel also has 3-storey underground floors to accommodate the maximum number of car parking to serve hotel guests and staff. 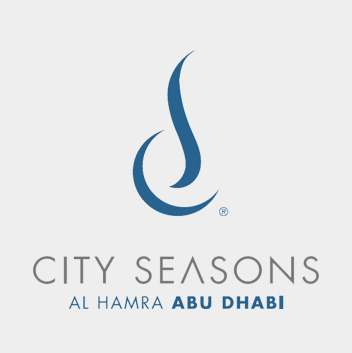 City Seasons Al Hamra Hotel Abu Dhabi derives its distinctiveness element from its unique location at the intersection of Najdah and Electra Street in the heart of Abu Dhabi with a spectacular view of the scene of the city›s downtown skyscrapers. The hotel is very closer to the commercial centers, entertainment venues and various events, which allows the establishment of fun for guests and easy access to the most important places. The hotel which is equipped with the most modern facilities, to suit families and businessmen, is including 310 rooms and suites, equipped with all comforts and entertainment facilities. 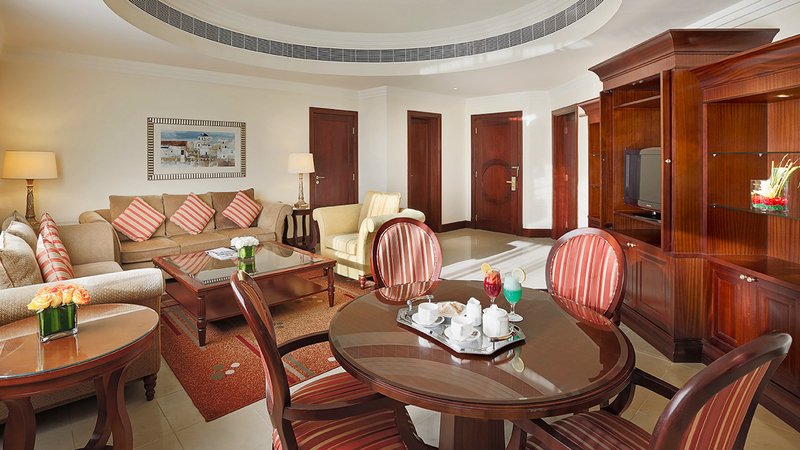 The Newly renovated rooms and suites reflect a great mix of traditional and contemporary Arabic design. 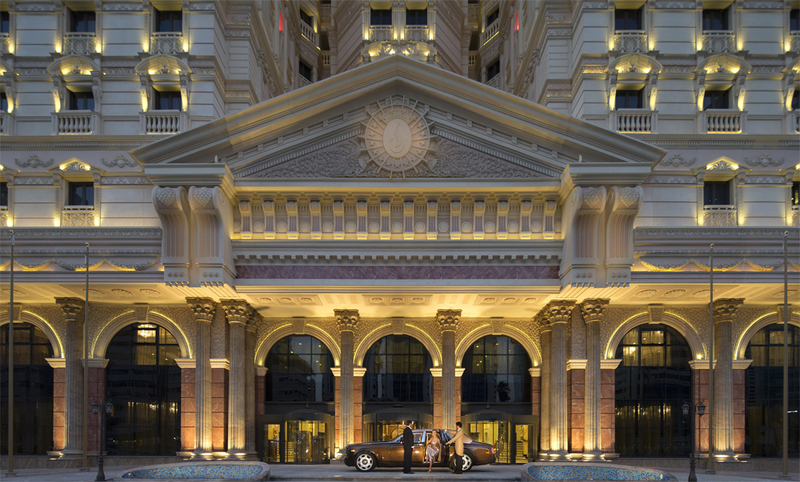 The hotel also offers a selection of different room categories such as standard, deluxe and junior suites, in addition to the new season restaurant and the Trotoar cafe and the Asian taste restaurant. 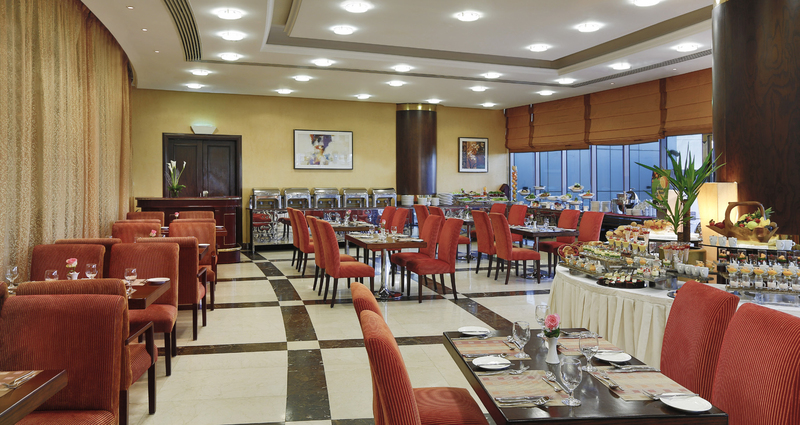 The hotel has meeting rooms and modern concerts and banquet halls that can accommodate more than 250 guests. P.O.Box: 14929, Al Ain - U.A.E. 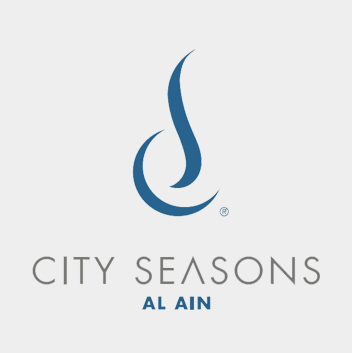 City Seasons Hotel Al Ain is located at the entrance of the city of Al Ain the lush green surroundings of the ‘Garden City’. 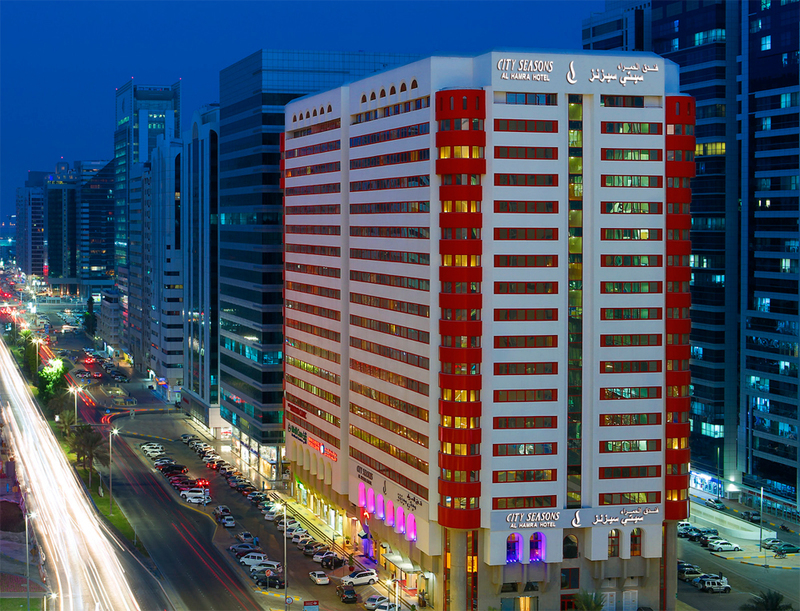 The hotel offers latest technology and state-of-the-art equipment that reflect the special level of excellence and beauty. It provides a suitable atmosphere for family visits and travelers seeking the perfect getaway to a new level of rest and relaxation or for weekend breaks. The hotel is characterized by its fantastic locally design, its 89 spacious and beautifully appointed Rooms and Suites including 10 Junior Suites, 8 Family Suites and 71 Deluxe Rooms., with high level of equipment and luxurious facilities in addition to new season restaurant and seasons café. 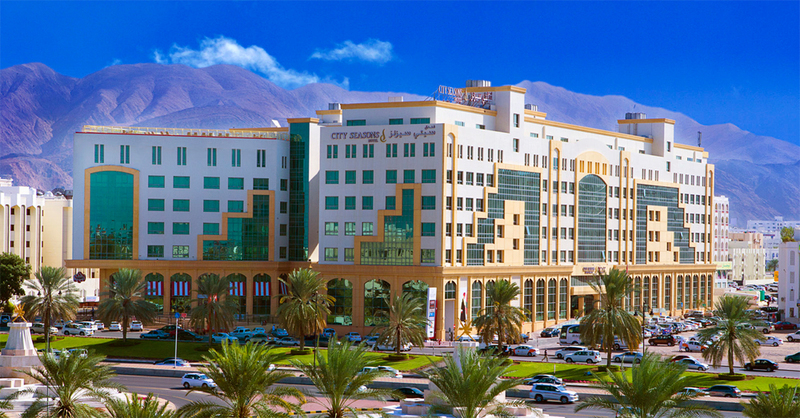 Al Nakheel hall is the perfect place for conferences and events. It can comfortably cater for up to 200 guests and has various options for setups to accommodate weddings, cocktail receptions, seminars, conferences and gala dinners. Other facilities of the hotel are the open-air pool located on the roof top, the Springs Health Club, Sauna, steam room, Jacuzzi, beauty salon, gift shop and jewelry. P.O.Box: 56421, Dubai - U.A.E. 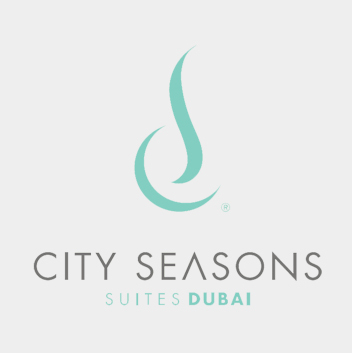 Ideally situated opposite Deira City Centre and Deira City Centre metro station, close to Dubai International Exhibition Centre and barely 10mins from Dubai International Airport, City Seasons Suites is a deluxe all-suites property with 94 premium suites including Executive Suites, Deluxe and Seasons Suites. 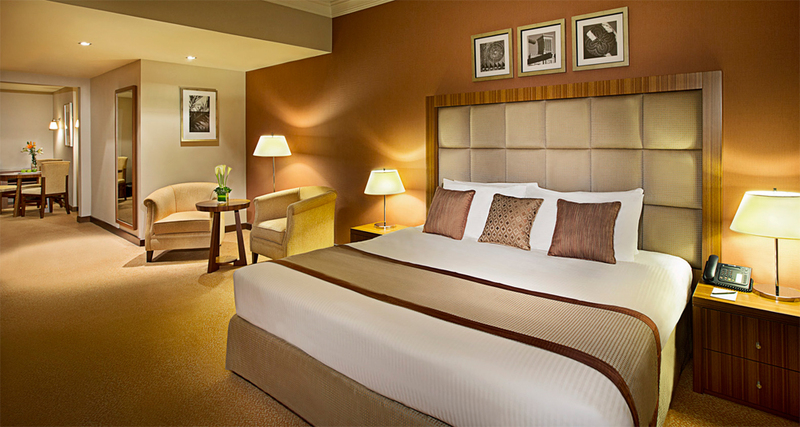 All the rooms and suites reflect the best standards of luxury and good taste. 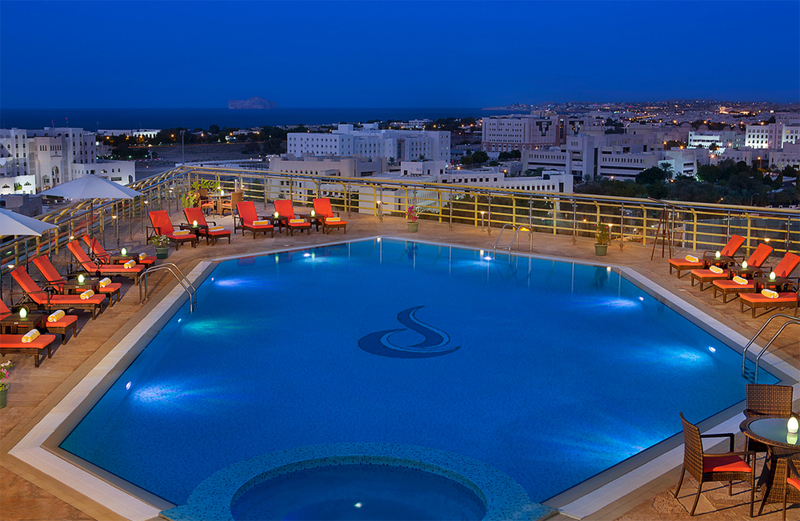 The hotel, which is classified as luxury apartments, provides a selection of service and entertainment facilities include a sophisticated health club, sauna, Jacuzzi, physiotherapy rooms and swimming pool. 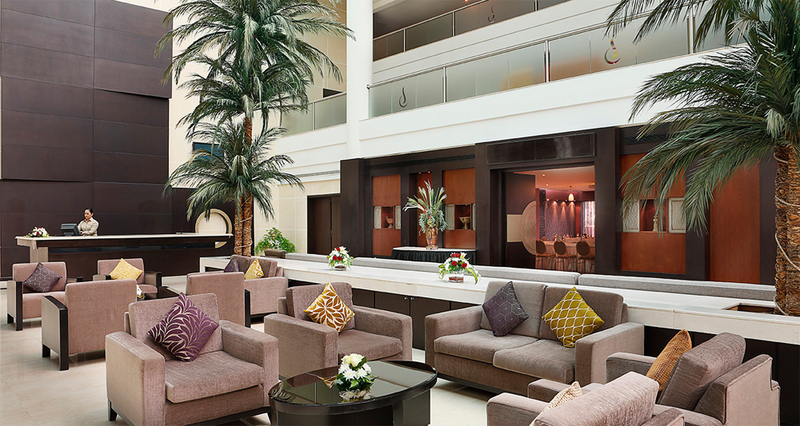 The range of conference facility has a variety of seating arrangements and space combinations for up to 200 guests. Other facilities include a business center and parking space. P.O.Box: 182002, Dubai - U.A.E. Conveniently located closer to the commercial centers only five minutes to Dubai International Airport and two minutes to Deira city center, City Seasons Dubai is a 180 room luxury hotel that offers the best conferences, meetings and banquet facilities that adequately cater for up to 200 guests. The hotel, provides a selection of service and entertainment facilities include a health club, sauna, Jacuzzi rooms and swimming pool. P.O.Box: 762, Muscat, Q. P.
City Seasons Hotel Muscat is located at AlKhweer area, in the heart of the Capitals diplomatic and commercial district and is only 15 minutes to the international airport. 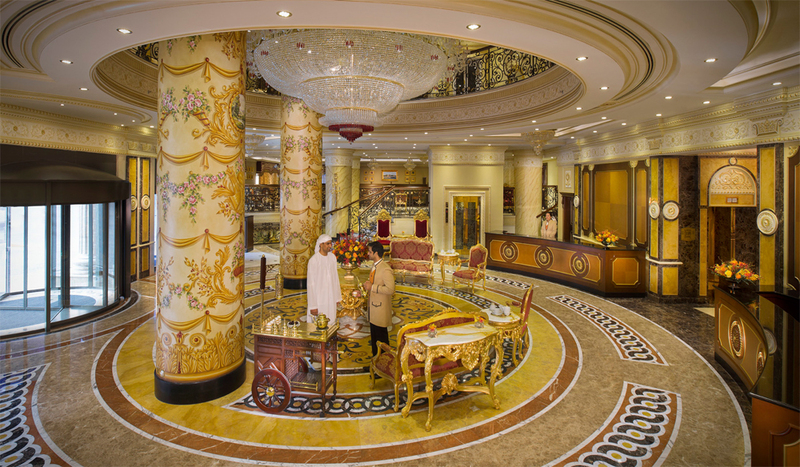 This luxurious 4 star Hotel consists of 334 rooms including 23 lavish suites and 65 modern apartments. It includes a conference and banqueting facilities in addition to business center and elegant ballroom for wedding parties. Combining unparalleled luxury with contemporary elegance, the hotel features gravity through its beautiful designs and architectural. Its materials including furniture and decorations are luxury and comfort. In addition to the prime location and luxurious furniture and decorations the hotel has a number of sophisticated and modern facilities, including a swimming pool and health club for men and another for women. 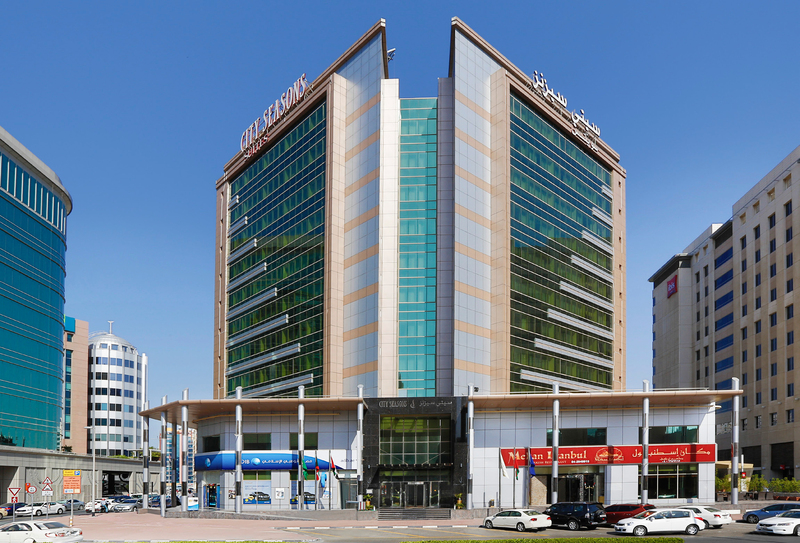 The hotel which occupies a prime location in the Emirate of Dubai at Khalid Bin Waleed Street next to the Burjuman Shopping Centre will be a 200- room 4 star hotel boasting of magnificent interiors and unique architecture. It has been designed so that it looks as if three Towers overlapping in different shape and surrounded by spiral glass reflects the architecture of post modernism in its ideal image. 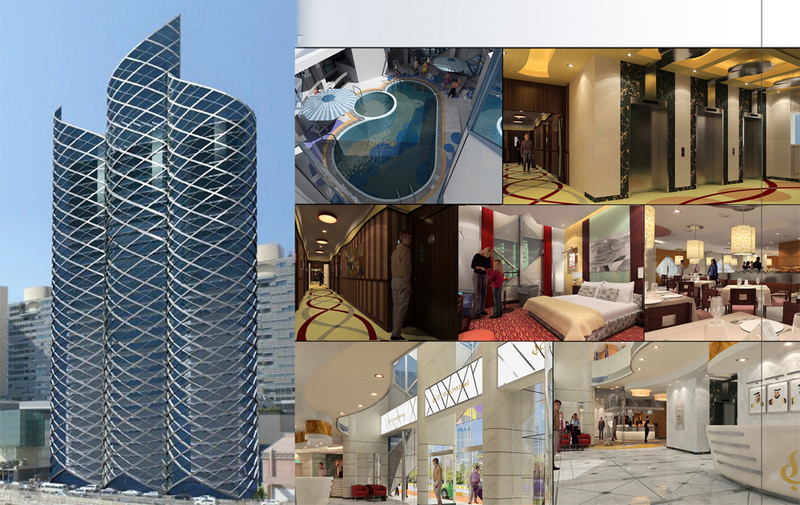 The hotel which will be open soon, has a 4 floors mechanized underground parking to serve the guests and staff. 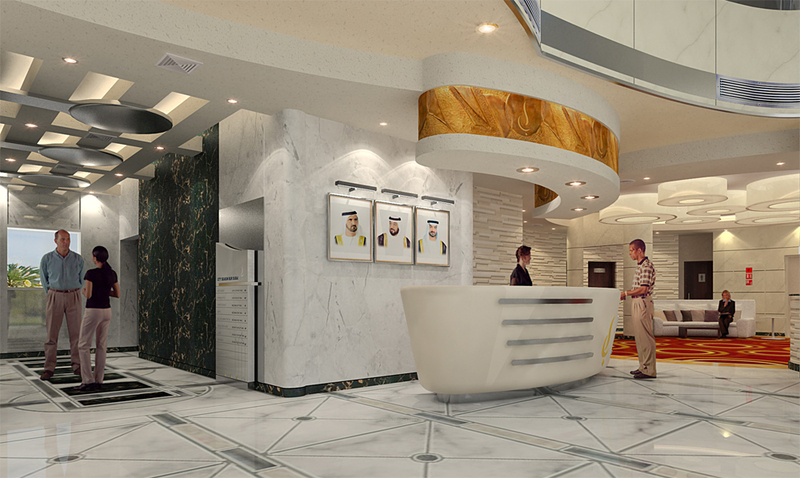 It has been witnessed that the Bin Ham Company for General Contracting, with its branches Al-Ain and Abu Dhabi, has synchronized urban surge in UAE since its founding in the period that followed the Union. The company which contributed to the implementation of many housing projects and public schools, hospitals, mosques and residential compounds with the highest levels for the benefit of some ministries, governmental and private sector in Abu Dhabi, Al Ain and Dubai. 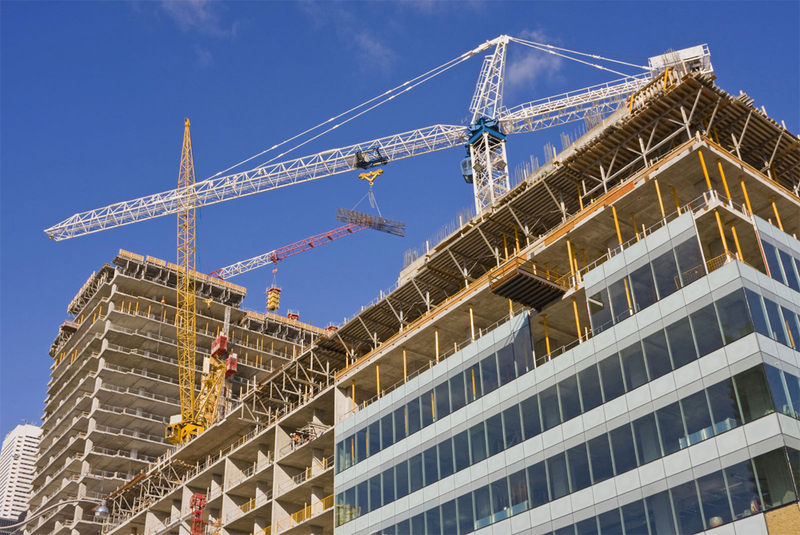 These contributions reflect the company›s insistence on upgrading the performance and keep abreast of the latest building techniques, by depending on the well experienced engineering and technical crews where has located the company in the forefront among major construction players within the UAE. 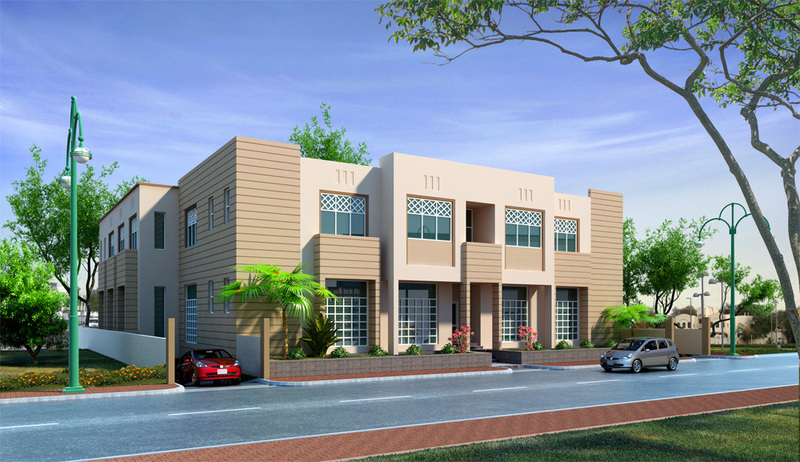 The company has implemented many projects including: (demolition and construction of Alfajer school in Abu Dhabi, 30 public houses in Alshwamekh, Alsamha primary school for girls, 106 public houses in Alsamha, 86 public houses in Baniyas, demolition and construction of 40 houses in Alyaher, the construction and maintenance of the prisons building in Al Ain, the construction and maintenance of Alqua school, villas complex in Al Ain, Dar Alaloum School in BeniYas, 7 Villas in Abu Dhabi, administrative complex in Al Mojaee. Other projects are: Zakher Police station. 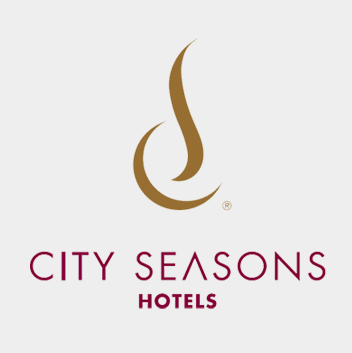 City Seasons Park Hotel, City Seasons Hotel amendments in Abu Dhabi, 12 Villas in Abu Dhabi and the commercial library in Al Ain. 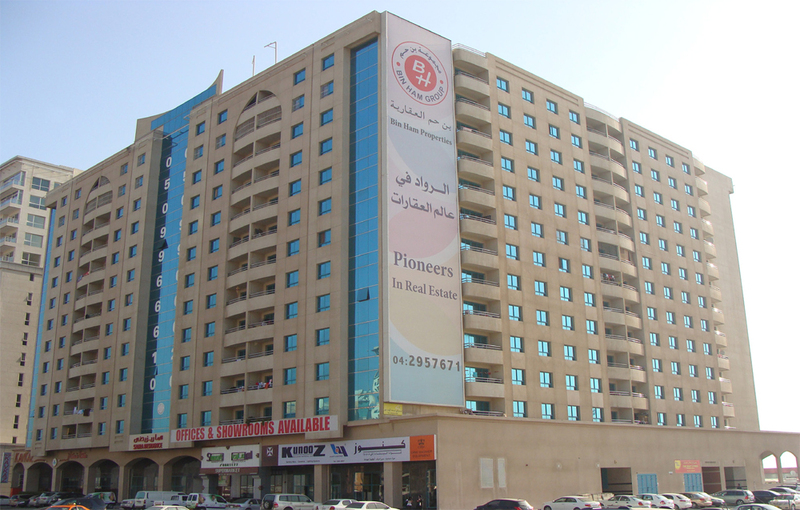 P.O.Box: 1479, Al Ain - U.A.E. 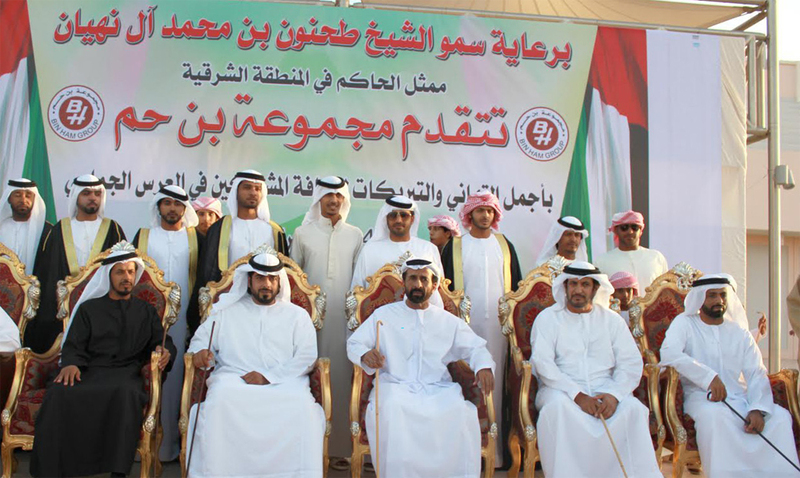 Since its establishment in 1974, Bin Ham Agricultural Company implemented several mega-projects in Abu Dhabi, and had a pioneer role in agricultural renaissance in Al Ain and Abu Dhabi. It contributed significantly in expanding the green landscape during the early history of the UAE, as well as the creation of a number of prominent parks through many forestation projects. Projects implemented by the company includes: Hili Fun City, Ain Al Faydha resort, Falaj Hazza garden. The company also proved its strong presence in other projects related to the development process such as the implementation of pumping stations and water networks as well as electrical, mechanical, civil and waste water purification plants. It also constructed a number of important civil projects such as: roads, waste water treatment station in Al Faqa›a, and roads lighting in Twayyah and Um Ghafa. 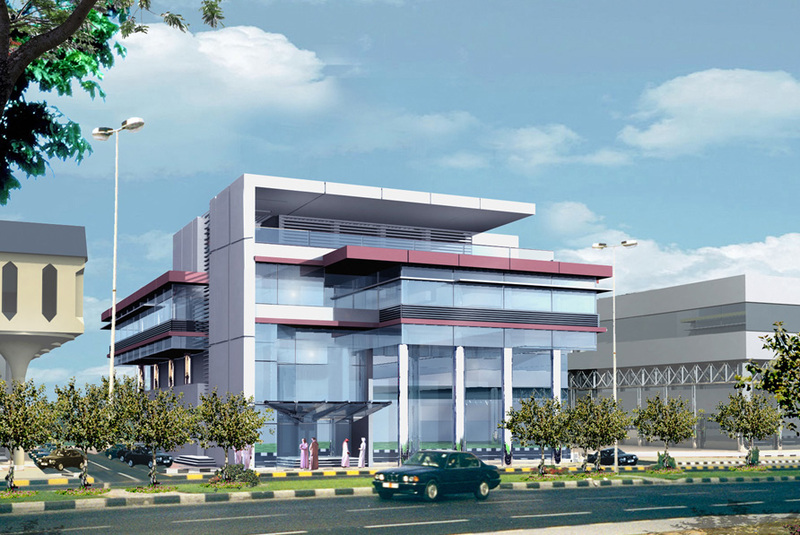 The company is currently implementing a number of large projects including the development of the residential area of Ramlat Al Raei in Al Ain with a cost of AED 113 Million, as well as replacement and maintenance projects of some sanitation stations for Abu Dhabi Sewage System Company, with an investment of AED 63 Million. The company is currently investing 115 million dirhams to extend the water lines of houses in the Al Ain, in addition to sewage networks project in Al Ain Al Fayda at a cost of 85 million dirhams. 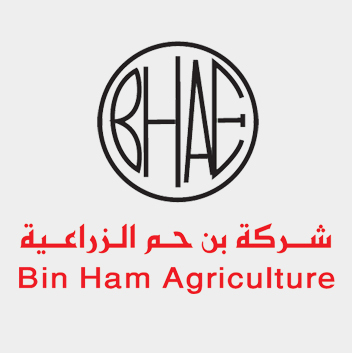 Bin Ham Agricultural Company, which has practical experience accumulated over more than three decades, is employing a number of highly experienced engineers and technicians, and it possess a huge fleet of the latest equipment and machinery, which is a key factor for the continuation of the company in the march of success and distinctive future, as one of the biggest companies specialized in this field in Abu Dhabi. P.O.Box: 33155, Al Ain - U.A.E. 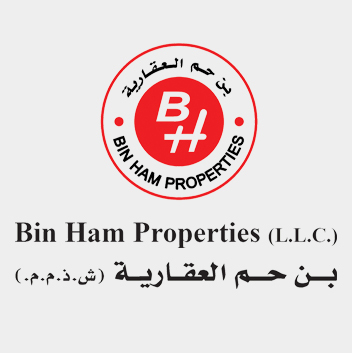 Bin Ham group decided in 2007 to establish a properties company in respond to its increasing present in the construction sector. 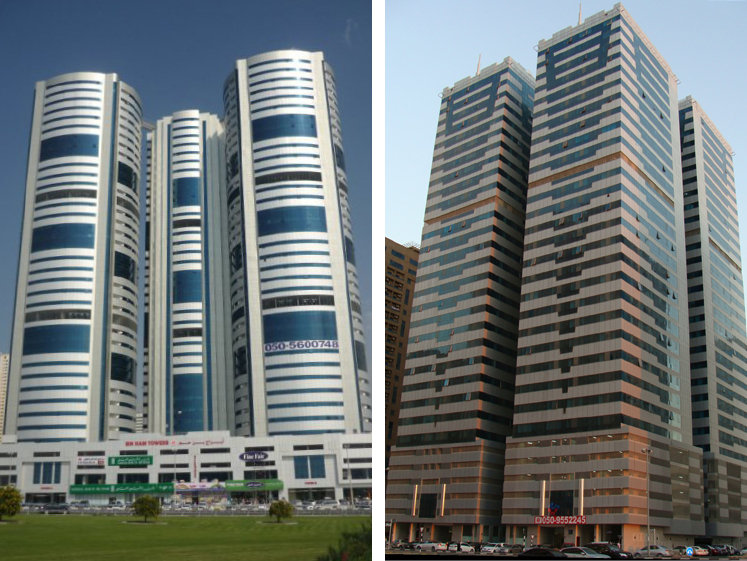 The company specializes in the management of residential, administrative and commercial buildings in Al Ain, Abu Dhabi, Dubai and Sharjah, in accordance to the latest scientific methods to achieve better economic benefit, especially in light of the intense competition in the field ofreal estate investment. The strategy followed by the “Bin Ham Group” in the field of real estate investment is based on several principles, including: harmonization of requirements for successful investment on the one hand and development objectives on the other hand. The group is dealing with all these projects as an integrated investment aim to contribute to the provision of housing units at favorable prices as solution for the problem of high housing rents, and in the same time to provide additional income in the long run. 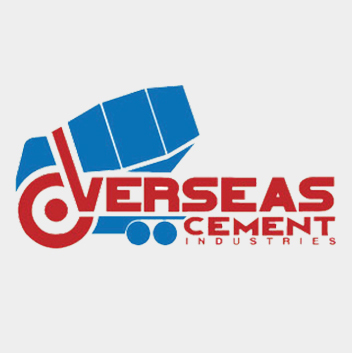 The overseas company for cement industries, which established in 2008, is specializes in the manufacturing of ready-mixed concrete, concrete blocks, Interlock (Albasco). The company continues to produce high quality materials in accordance with international standards and conformity with the terms of the consultants in order to participate in the development of construction and reconstruction sectors in the Emirate of Abu Dhabi. In order to keep up with the movement of continued and rapid progress in the emirate the company is hiring more than 100 specialists in addition to a large fleet of modern “ mixers “ cars and other fleet of pumps to service customers and construction companies to keep up with the progress and development movement taking place in the state in general and the emirate of Abu Dhabi in particular. 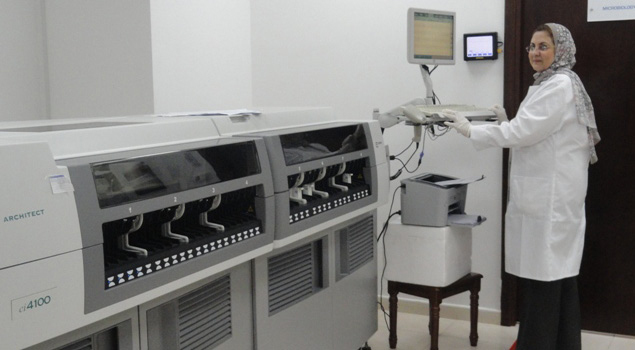 The company established also a well-equipped laboratory to provide more accurate results and quality. The company received numerous awards and certificates such as the ISO 9001 – 2008 and ISO 14001 quality certification in 2008 and ISO 14000 Certificate of Environmental Health. The company was founded in 2011 to work in the field of buying and selling of building materials and to provide the necessary support for construction companies of the Bin Ham Group and the other construction projects, in addition to the import and marketing of various building materials. In this regard, the Company entered into a number of agreements to represent some local, regional and international factories and building materials. The company implemented a comprehensive plan during the recent period in order to organize and develop methods of performance to meet the market requirements. The plan includes: identification of construction materials with a focus on premium products and new material in different areas. 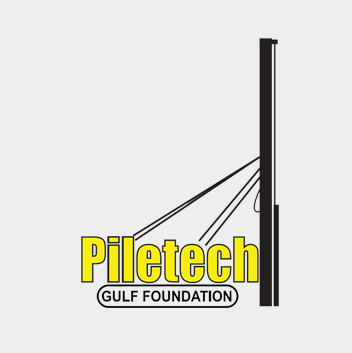 Piletech Gulf Company for Basements Drilling was founded in 2008, to focus on basement drilling activities. 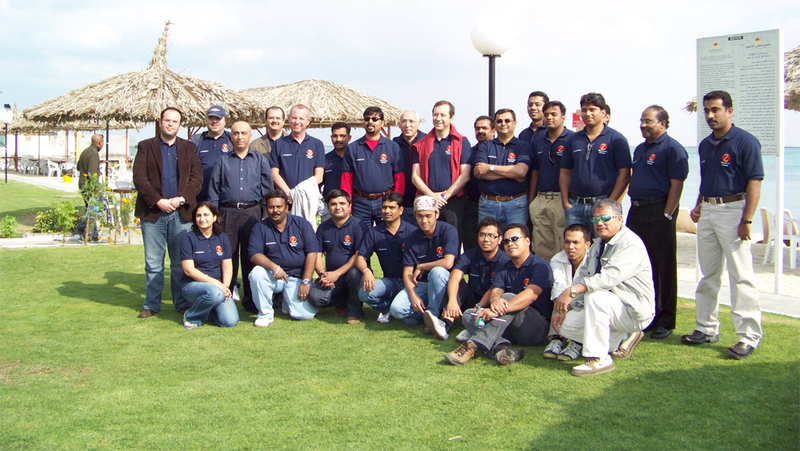 It had completed many projects across the country using the latest technologies and systems. The company is collaborating with well-known international and local companies working in the field of foundations digging and the installation of pillars. The process of setting the foundations is the most important stages in the development of any project that is why the company continues to develop its tools and methods. The company is very keen to flow the international standards and specifications applied in the construction sector and the development of foundations and sewage works taking into account the environmental characteristics surrounding the project. 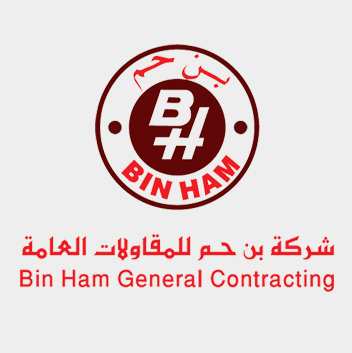 The company is one of three companies that operate under the umbrella of «Bin Ham Group» and is specialized in the construction sector, where the group includes expertise and technology needed to implement the projects. 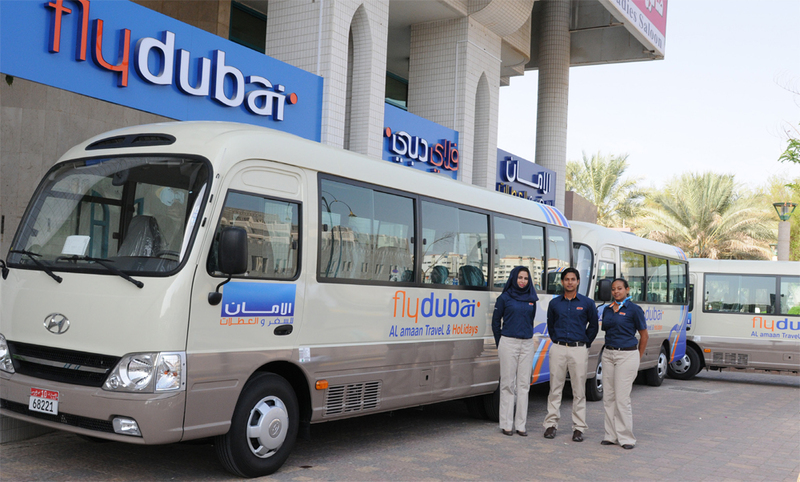 It has maintained its growth by winning contracts throughout the UAE and the region as a whole. 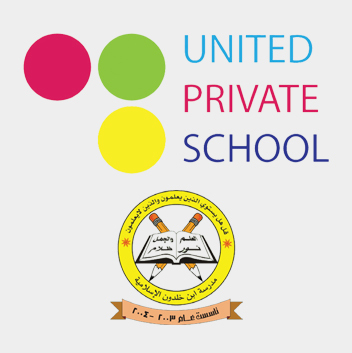 When Bin Ham Group embarked on opening its private schools, it didn’t seek for profit, but to create a new channels for better education, as well as to provide financial contributions for other schools and to raise the level of the educational process in the state, considering that the education is the first pillar in the progress of society. These schools operate according to recent education systems and provide all educational and cultural activities, such as sports which help to strength students skills and develop their abilities. The schools runs by the group are well-equipped with educational needs such as laboratories, computer laboratories, and modern teaching methods. Has staff of more than 85 teachers, administrative and technical. The school includes various educational stages from kindergarten, elementary up to secondary stage. P.O.Box: 43400, Al Ain - U.A.E. P.O.Box: 19795, Al Ain - U.A.E. Has staff of 75 teachers, administrative and technical. The school includes about 850 students from kindergartento 9th grade. 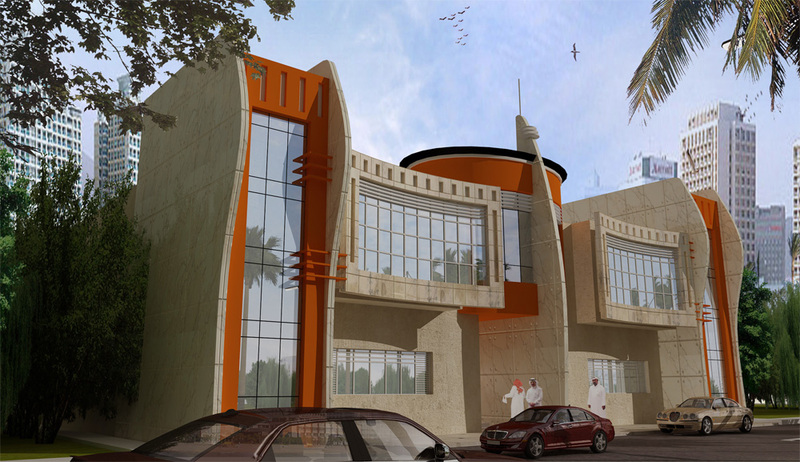 This school, which was opened in 2010, is located in Alyaher area and is a member of Concept International group. The school is implementing the American curriculum which is consider to be a distinct transformation in the educational field. 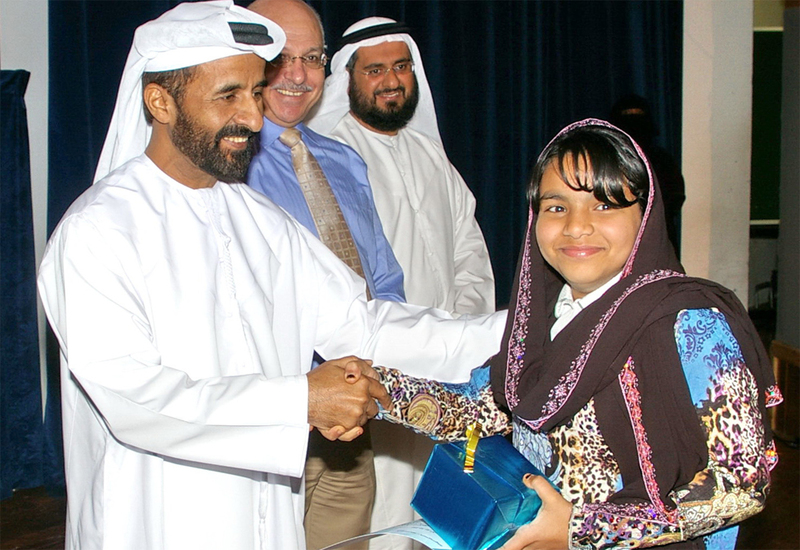 As a result of the successes achieved in Al Ain the school opened a new branch in Baniyas in 2011. 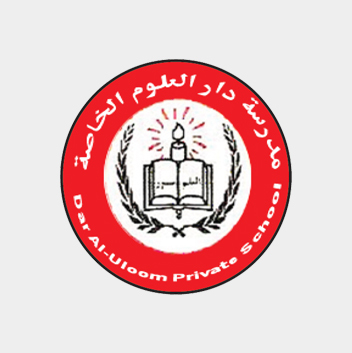 The school is applying the latest education systems and providing all educational activities. P.O.Box: 94795, Abu Dhabi - U.A.E. P.O.Box: 1127, Al Ain - U.A.E. P.O.Box: 1127, Abu Dhabi - U.A.E. 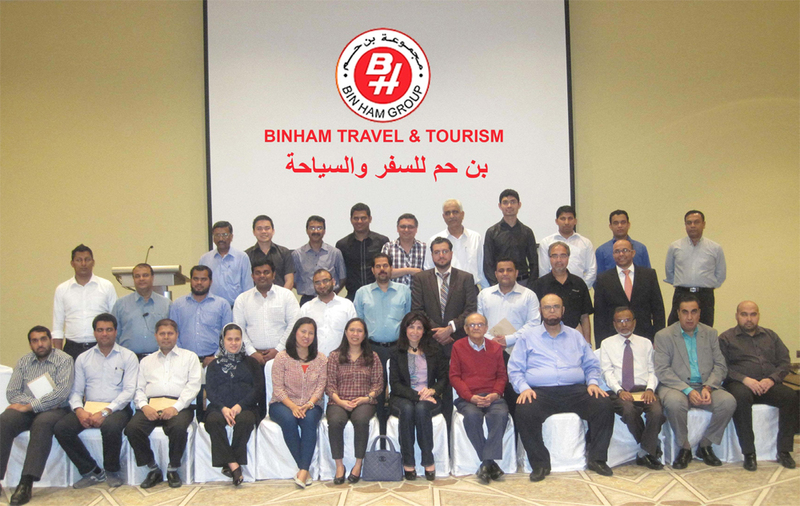 Bin Ham Traveling & Tourism Agency has been established earlier in 1979 currently includes the main office in Abu Dhabi and other two branches in Al Ain titled “Al Aman Traveling & Tourism” & “Al Ain Express”. 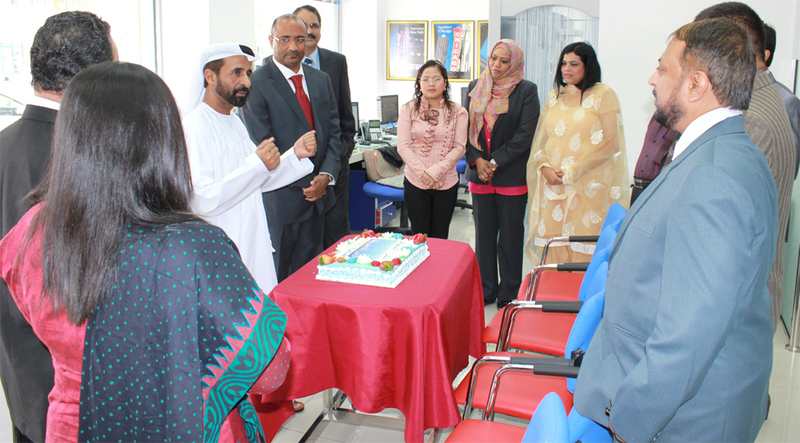 During this period it became one of the biggest IATA’s biggest agencies which located in Abu Dhabi. These agencies control 62 airlines worldwide tickets, including British Airways, K.L.M, Lufthansa, Singapore Airlines, Gulf Air, Emirates Airlines, and is currently working closely with the national carrier “AL ITTIHAD airline” to upgrade sales to the highest possible level. 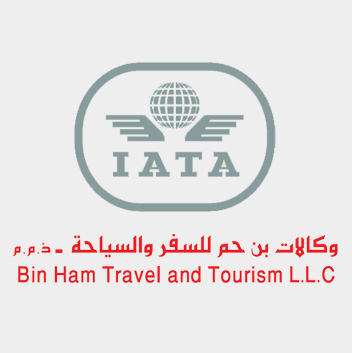 The “Bin Ham agencies offer services around the clock, seven days a week including holidays, and always keen to provide the best prices available and provide special prices for holidays and official trips. It also provides airport service reception for VIPs, as well as limousine service for departing and arriving. 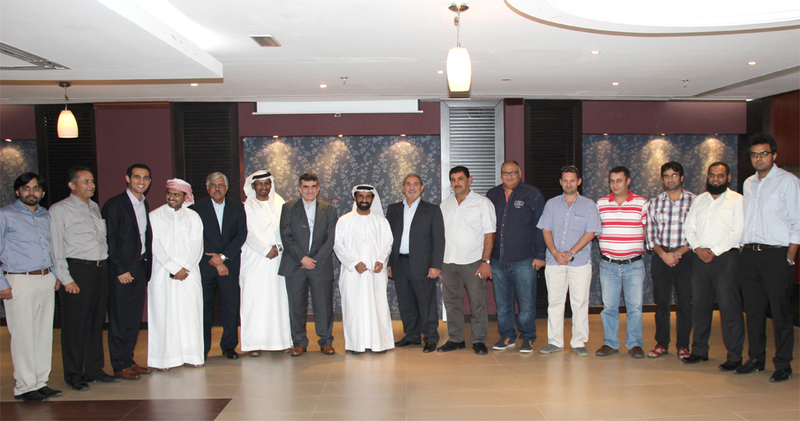 These Agencies rely on the efforts of their well experienced crews, thereby qualifying for several prizes including the “Golden Award” from the “Gulf Air” and “certificate of excellence” from the Ministry of Economy…etc. Agencies are Member in “BSP” of “IATA” international which allows them to deal directly with all international airlines, without resorting to the main sponsor, and is a member of the “e-ticketing” which allows issuing electronic tickets. P.O.Box: 27242, Abu Dhabi - U.A.E. P.O.Box: 1615, Al Ain - U.A.E. 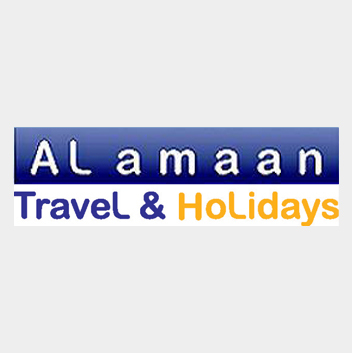 Alaman Travel Agency is one of the largest travel and holidays “IATA” agencies in Al Ain. The company is acting as an agent for more than 65 international airlines. As a recognition for its important role, it acquired many awards from international and national airlines such as Etihad Airways and Emirates Airline. The company is operating special section for holidays under the supervision of highly qualified staff who organizes comprehensive tourist programs all over the world. The agency branch of travel and holidays in Alyaher city, which lies 30 km from Al Ain is the first one to provide this service to the citizens and residents there. 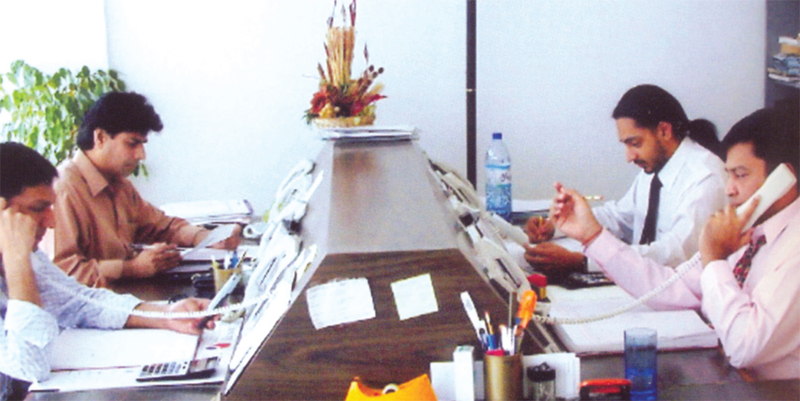 The agency has branches in the industrial zone of Al Ain and in Alwagan area, about 70 km from Al Ain. 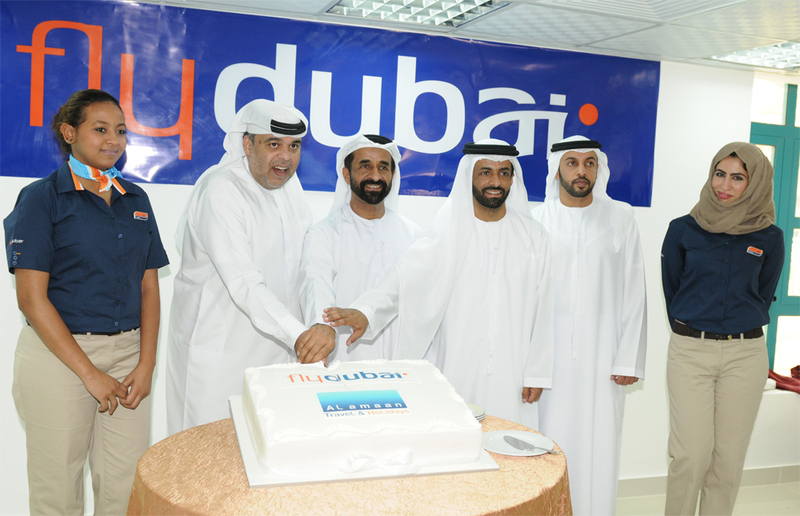 In 2013 flydubai opened its Alain office in a partnership with Alaman. 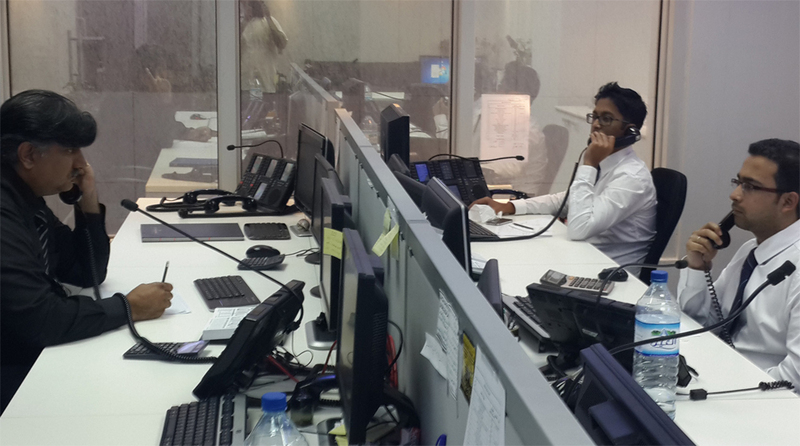 The office is providing services to passengers, including, bookings, ticketing, visas and other services. 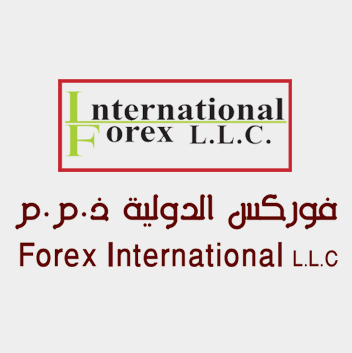 Forex International Company was Founded in 1985, and obtained a license from the Central Bank of the UAE to act as intermediary for banks in the capital market. 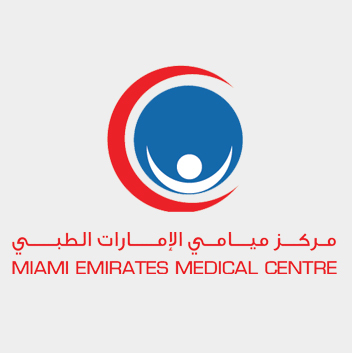 The company has dealing with all major banks operating in the UAE, and has hot lines operating rooms linked directly with the banks to ensure speedy and proper banking and financial operations. It owns license of dealing in stocks, commodities and stock markets. 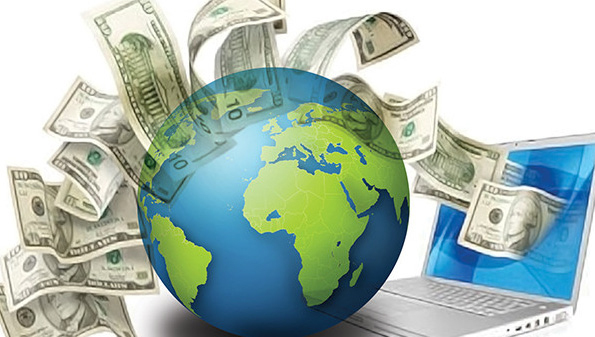 The company has arrangements with other companies for financial services in the major international financial centers to facilitate international transactions in foreign currencies. P.O.Box: 111705, Dubai - U.A.E. 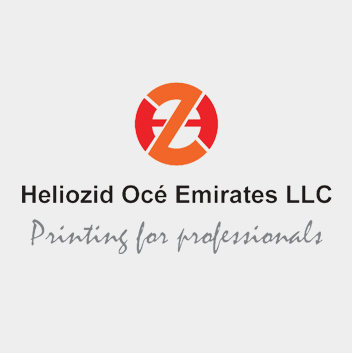 Heliozid Oce Copying Company acquired through long experience of 25 years, a considerable experience and knowledge as specializing in the production of papers, films and improved private copies of maps and paper printing Ink-Jet printers, addition to the import and export operations. 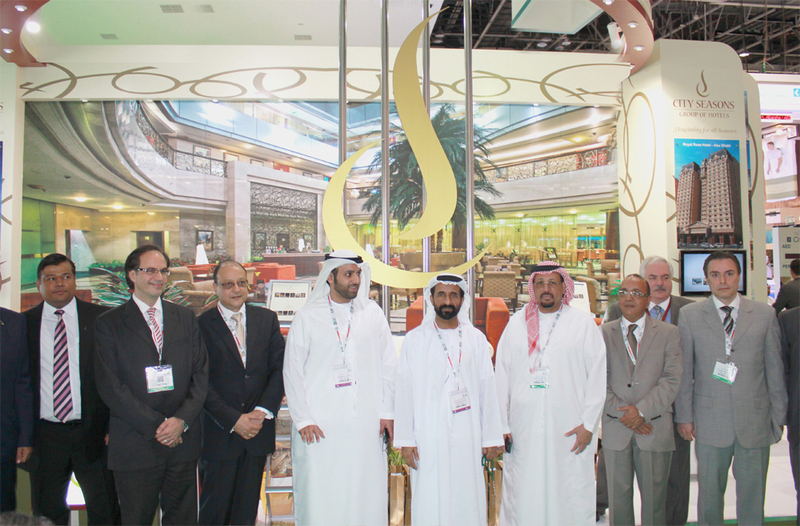 The company›s products received acceptance from UAE clients, all the GCC, Middle East and Asia. P.O.Box: 111769, Abu Dhabi - U.A.E. P.O.Box: 2217, Ajman - U.A.E. 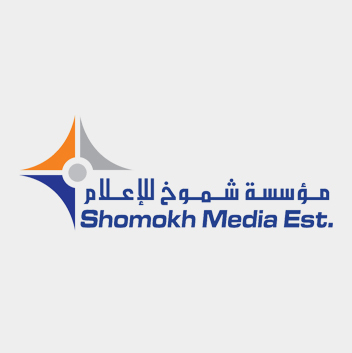 Shamookh Company for Printing and Publication was established in 2007, to reflect the desire of Bin Ham Group to revive the heritage of the United Arab Emirates, and the believe in the importance of protecting cultural heritage and social identity. To realize these objectives, the group issued (Algafela) which is focusing on heritage and cultural issues. Also the company turns to be one of the leading companies in the field of books publication; magazines lay out, printing, advertising and marketing. 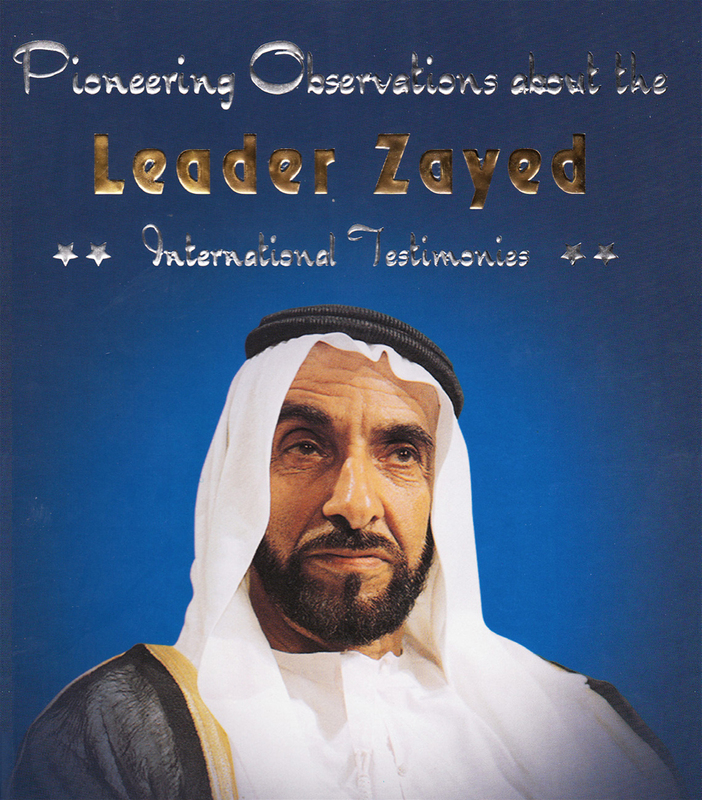 The Company produced a great collection of specialized books issued on different occasions in collaboration with governmental and private departments. On the other hand the company acted since its beginnings as an agent for many Arab newspapers, magazines, local radio stations and TVs. 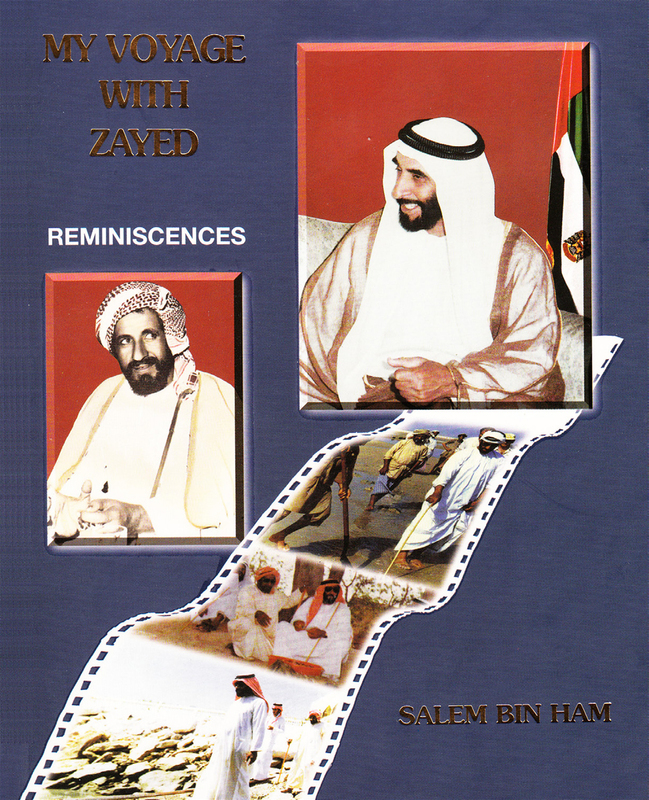 The company obtained considerable experience in publications and media advertising, and issued a number of books such as biographies of some senior officials and national personalities that have affected future for the generous march of development and construction in the UAE. The company is planning also to establish a unit for conferences and events organizing as well as a TV channel to serve the local society. 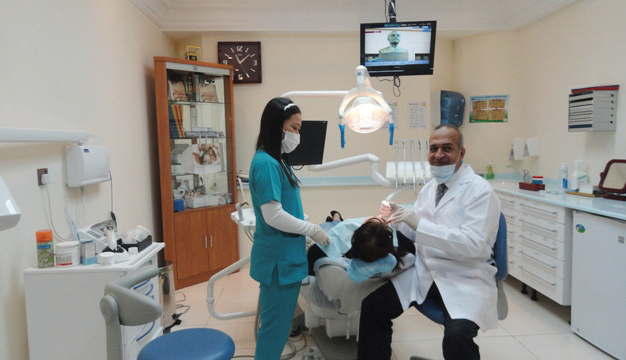 Dentistry: Among the most important services provided by the section: Teeth whitening, installations and fillings. Pediatrics: Among the most important services provided by the section: follow-up and treatment of premature infants and newborns, treatment of allergic diseases and asthma, malnutrition and bedwetting. Physical Therapy: Main services provided by the section: back and neck pain, slipped disc and sciatica, medical rehabilitation after surgery. General Medicine: Among the most important services provided by Section: The dermatologists treatment, urinary diseases and digestive system diseases. In addition to ophthalmology, gynecology, cosmetics, there are many specialized sections such as laboratories and radiology. 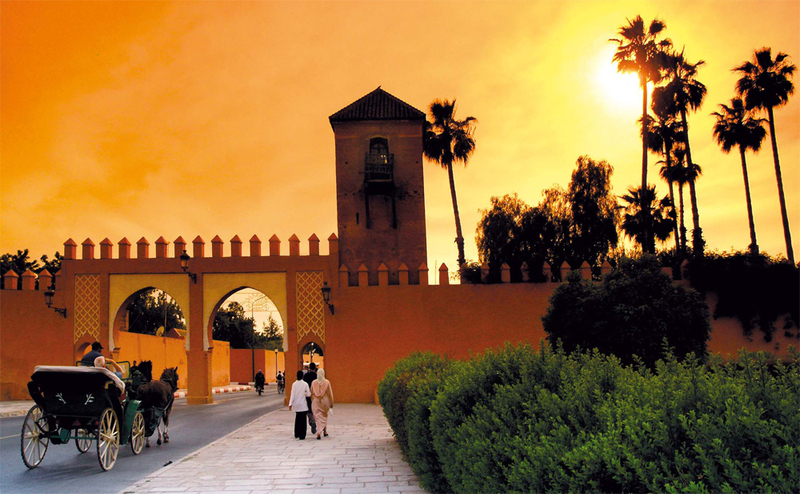 The Emirates International Trade, based in Casablanca, in the Kingdom of Morocco is the first company set up by Bin Ham Group outside the United Arab Emirates. 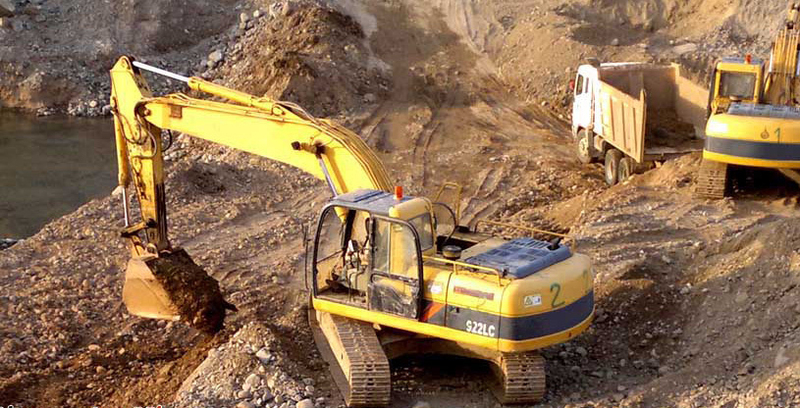 The company, which was established in 1993 is operating in the areas of general contracting, reclamation, roads paving, real estate development and import and export of engineering equipment. 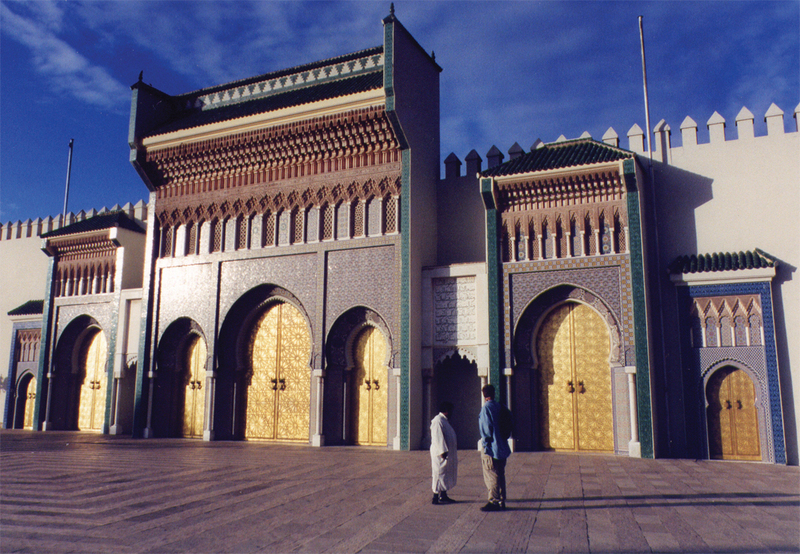 It also responsible for managing several of real estate projects set up by the bin Ham Group in Morocco. 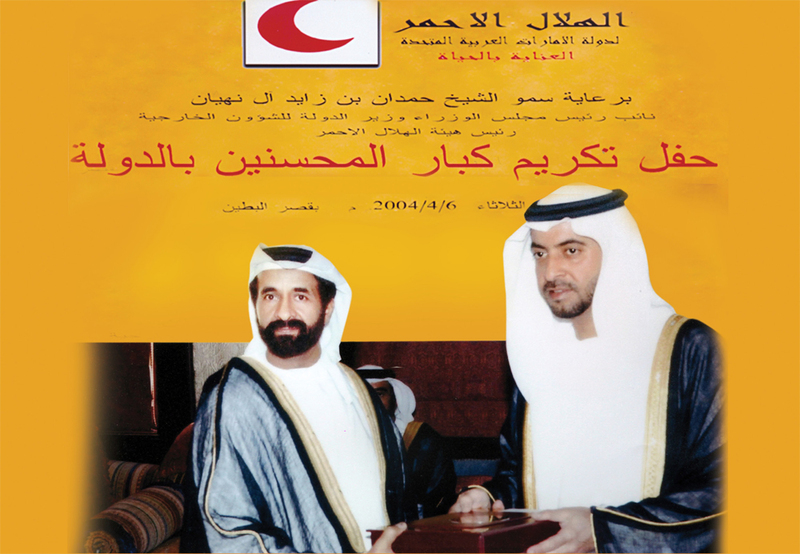 Bin Ham Group was keen to extend links and collaboration with all educational, cultural and society institutions in order to create a nongovernmental channel to support the socio-economic development process as well as to stimulate entrepreneurship and establish the concept of charity work in the community, following the example of the good approach of the late Sheikh Zayed bin Sultan Al Nahyan, may God rest his soul, which linea proven track record in the goodness and devoted feelings of goodness within each citizen. 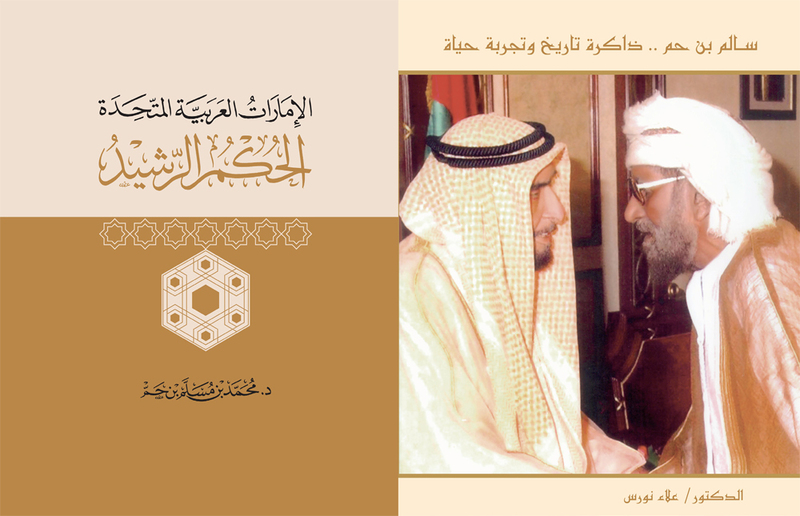 Sheikh Muslim establishment a chair for Professorship in Islamic Legal Theory at Zayed University on behalf of his father, Sheikh Salem Bin Ham Al Ameri. This initiative aims to encourage scientific studies and research in the fields of Islamic Legal Theory, is a new addition to the courses of the Institute of Islamic Studies and is also keen to attract outstanding experiences to enrich there search and ideas pertaining to this matter. There is no doubt that the interaction of the group with problems and the concerns of the local community is the duty of all citizens, especially those who have the capacity to do so. Against this background Bin Ham undertake the task of establishing mass wedding initiatives in different places in the state. This initiative embodies the keenness of His Highness Sheikh Khalifa bin Zayed head of state, may God protect him, to offer a good life for the youth by facilitating marriage for them, away from the physical pressures and large social implications of excessive spending and manifestations of extravagance that usually accompany weddings. Education Sector Support: Bin Ham Group establishment of a number of private schools contributes to the efforts that aims to develop education by creating new channels for better education, as well as to provide financial contributions for other schools and to raise the level of the educational process in the state, considering that the education is the first pillar in the progress of society. our prominent charity works includes Bin Ham Holy Quran Teaching Center, Masjud Talha bin Yahya in New Al Markhaniyah area in Al Ain, MAsjd Sheikh Sheikh Salem Bin Ham in the region of Al Wagan , Masjid Bin Ham in AL Yahar and Masjid Bin Ham in the Mowaji. The group extended its charity works also outside the state, where it has established several charitable and development projects in some Arab and Islamic countries, such as mosques, schools and Islamic institutes and projects that provide clean drinking water to the population in some areas that lack it, as well as digging water wells and building reservoirs for freshwater. It also built houses for overseas students in some countries. 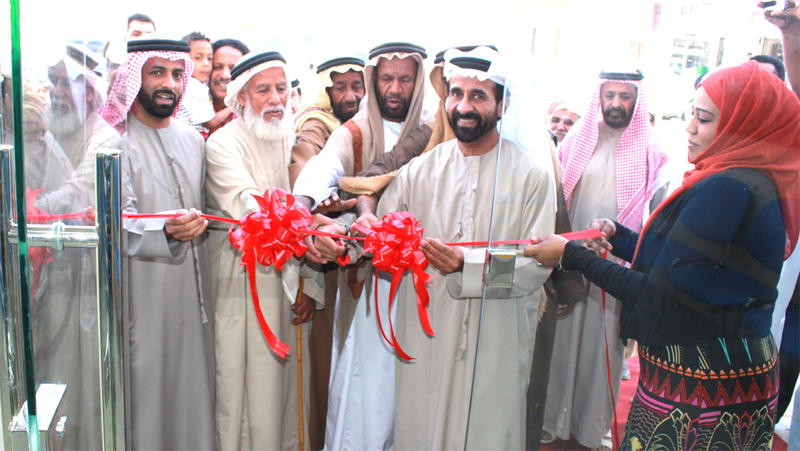 Charitable projects of the group spreading in several countries, in Yemen for example the group built Salem Bin Ham mosque in Thamood in Hadramout, an Institute in Elziml area province of Marib, Ben Amer Mosque in the province of Al Bidaa , Salem Bin Ham secondary School in Tarbh in Hadramout, and Bin Ham center for Islamic studies in Alroihh region. Copyright © BinHam Properties 2015. All rights reserved.